DALLAS – The Army & Air Force Exchange Service announced that for the first time U.S. service members worldwide will be able to watch NBC Olympics’ streaming coverage of the 2016 Rio Olympics from their desktop and personal devices. This benefit is being provided at no cost to those who are currently serving in the U.S. military or retired military members by Comcast NBCUniversal in partnership with the Exchange and U.S. cable, satellite and telco providers. NBC Olympics will stream 4,500 hours of coverage, including live streaming all competition, as 10,500 athletes from 206 countries compete in 35 sports from Aug. 3-21. Service members will access NBC Olympics’ digital coverage from their computers or personal devices by visiting NBCOlympics.com or the NBC Sports app and choosing the Exchange as their service provider. Due to content rights restrictions, an active shopmyexchange.com account will be required to verify eligibility. Content rights restrictions will also apply to some OCONUS locations. OCONUS viewers must be on an Army or Air Force installation with Internet service from an Exchange-contracted provider; mobile device access will be via personal WiFi using that Internet service. Some geo-restrictions will apply. The Bavaria military community also has full access from all Exchange Connect and TKS Easy Connect networks. Additional information will be available on shopmyexchange.com. To see a day-by-day list highlighting events to watch, go to NBCOlympics.com. When Comcast NBCUniversal offered the service, a collaborative team including the Defense Media Activity, Defense Information Systems Agency, the Exchange and DHI Telecom (an Exchange Internet, mobile and IPTV provider) swung into action to develop the technical solution required. In addition to the streaming content, note that the American Forces Network (AFN) will also offer extensive NBC Olympics’ broadcast and cable coverage on its television services for the overseas American military communities around the world. “Once again we are extremely appreciative of the International Olympic Committee, its broadcast partners around the world, and to NBC Olympics for their excellent and extensive coverage of the 2016 Olympic Games being made available to America’s military communities around the world,” said Larry Marotta, Director, Television, American Forces Network. 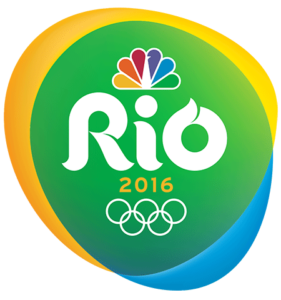 The Opening Ceremony of the 2016 Rio Olympics will air on Friday, August 5, on NBC. Competition begins two days earlier on Wednesday, August 3, with women’s soccer on NBCSN and USA Network. The Games conclude on Sunday, August 21, with the Closing Ceremony on NBC.